It is the inland villages of Crete, untouched by mass tourism, that are the essence of Crete. Travellers and visitors are always welcome. Hospitality is ingrained in the Cretan way of life, it is respected and understood. Kaliviani is a small, traditional village in the very north-west of Crete, 44 km from Chania town. It is located close to Kissamos Port and Balos Lagoon. 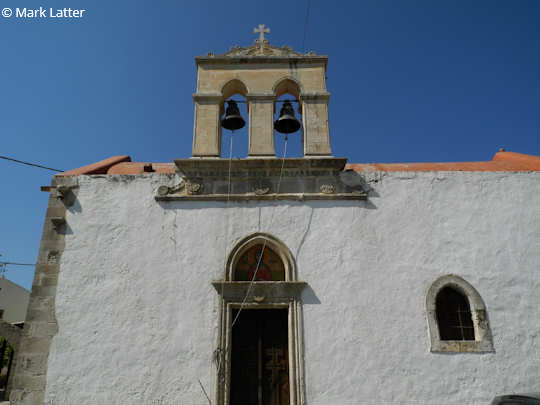 Theriso is a mountain village just 18 km from Chania where an important historical uprising took place in 1905. In this beautiful gorge country is the real essence of Kriti. Chora Sfakion located 75 km south of Chania, in the proud Sfakian region. Depart from here to southern seaside villages such as Loutro and Agia Roumeli. Georgioupolis is 42 km east of Chania town on the north coast of Crete, surrounded by beaches. With the cutest little white chapel in Greece, and close to Lake Kournas and Rethymnon, this makes a great base from which to explore Crete. Spili Village, with its fountain of lion's heads, is in the centre of Rethymnon. Rest next to the flowing waters on your drive through the hinterland. Plakias is a small seaside village 35 km south of Rethymnon Town, with magnificent bays and beaches. The cliffsides make it popular with rock climbers and there are local coastal walking tracks. 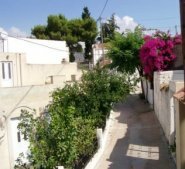 Margarites village in the centre of the island, 30 km south-east of Rethymnon Town, is a beautiful village offering pottery and plenty more. Vori or Voroi Village in southern central Crete is a protected historically significant village in a rich, fertile valley. Experience the real Crete. Matala is an interesting beach village on the south coast of the island with a colourful history and unusual rock formations. 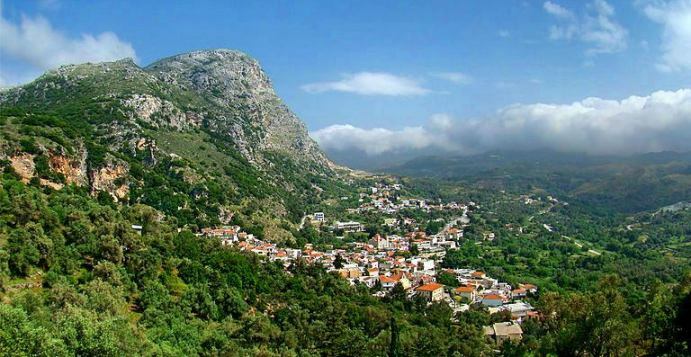 Kamilari is a small village sitting on a cluster of hills in southern Heraklion. 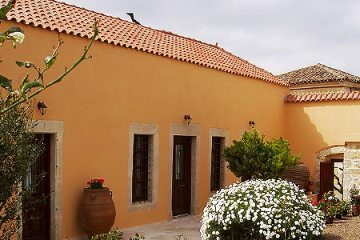 Set in prime agricultural land and close to ancient sites such as Phaistos and Gortyn. Zaros is a mountain village near Mt Psiloritis, close to Lake Votomos and Rouvas Gorge. Get away from the beach in the heat of summer, enjoy the cooling waters here. Fodele the birthplace of El Greco, is in a lush valley full of mandarins and oranges. The village huddles over the rushing stream amongst shady trees. Kerasia is a small modern village set in the rolling foothills of Psiloritis in Heraklion region, surrounded by grapevines, olive trees and perivólia. Dafnes is 18 km south of Heraklion town and home to a vibrant wine industry. Visit wineries, taste the local wines and stay at the tavernas for lunch before driving south to ancient sites or the beaches of the south coast. Archanes Village in the central north of the island, is 14 km from Heraklion town and only 7 km from the ancient Minoan Palace of Knossos. A beautiful village with many beautifully restored buildings, it sits amongst vineyards. Archanes Hotels, Traditional Villas and Studios - relax after your flight, arrive in to Heraklion airport and get into the country immediately at Archanes. Stay in a village home and begin to unwind. 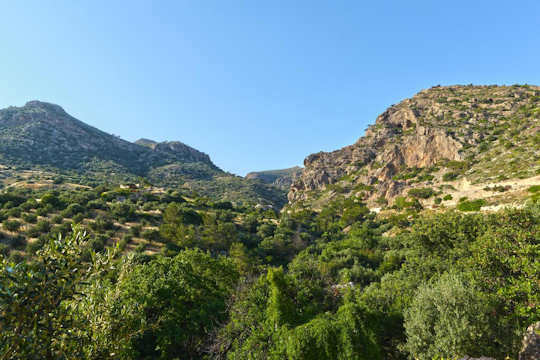 Avdou is located in a pretty valley just 18 km from Malia in the north of Crete. Surrounded by gardens, orchards and olive groves, it is a centre for organic farming. Tzermiado is a small village on the beautiful Lasithi Plateau, surrounded by fertile gardens and ringed by the Dikti Mountains. Kritsa is 10 km from Agios Nikolaos in the foothills of the Dikti Mountains. 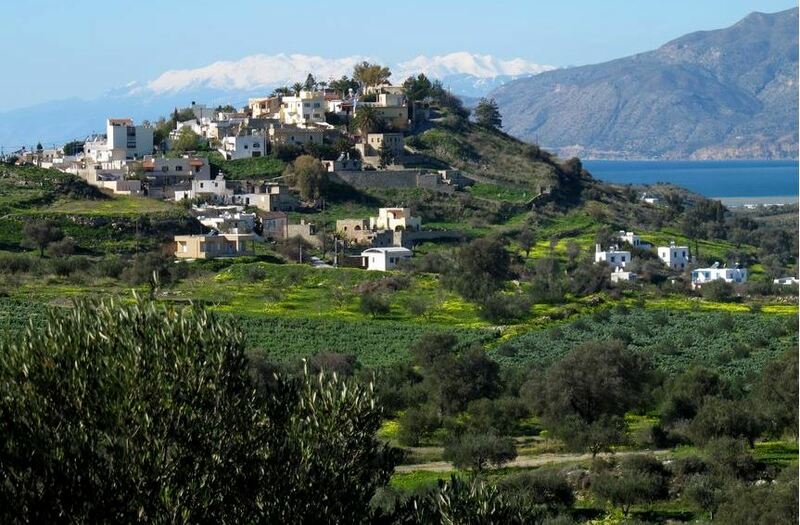 A proud Cretan village of Lasithi prefecture, in the east of the island. This village is so pretty it has been chosen as a movie set, and its steep streets are full of atmosphere. An ancient site sits atop the nearby hillside, Lato was a city in Dorian times, during the fifth and fourth centuries BC. Elounda sitting on a bay 11 km from Agios Nikolaos in Lasithi, is one of the most luxurious villages in Crete. Palekastro near Vai beach in the west of the island, is a lovely village of Crete. Surrounded by olive groves, it sits near the beaches of Chionia and Kouremenos. Windsurfers love this area, dotted about are villas and domatia, then you will stumble upon an ancient Minoan site, this is Roussolakkos, dating back to 2000 BC. 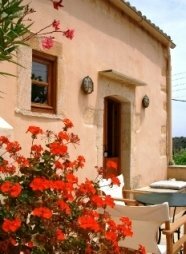 Whether you are looking for a room to rent, a guesthouse, an eco cottage or a B&B, we have plenty of choices on our pages for you to enjoy a relaxed rural sojourn in Crete. We share beautiful villas and holiday homes with plenty of space for all the family, or indeed many families coming together for an event or a family reunion, close to or in the villages of Crete. Raw and Vegan Cooking and Yoga Holiday - stay with a small group in a separate rural guesthouse in the quiet countryside overlooking the sea. This location is 50 km south of Rethymnon town, with hiking and beach walks easily included in your day. 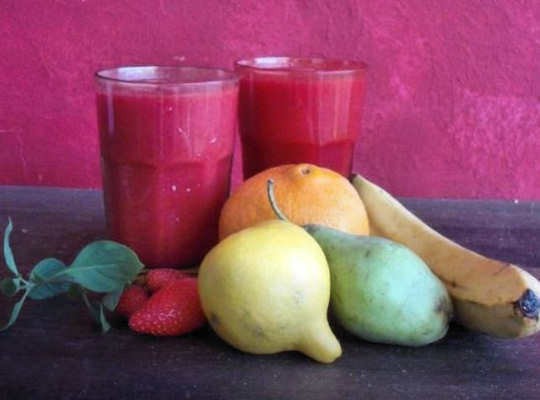 8 Day Detox Retreat in Crete - enjoy a small mountain village, views to the sea, fresh air, yoga and meditation and quiet in the rural retreat near Amiras village, located 63 km south-east of Heraklion town. 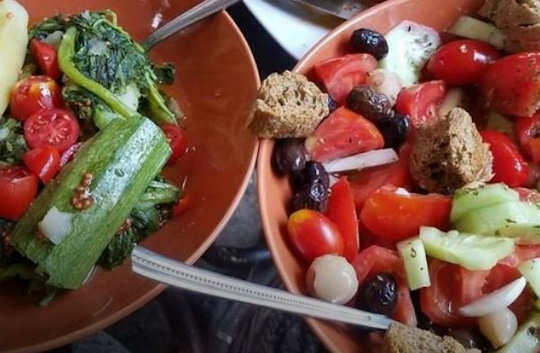 8 Day Walking and Foraging Tour - enjoy the local food and knowledge at Kastello Taverna in Rethymnon, take a foraging tour to learn more about the traditional ways of eating and living off the land in Crete. 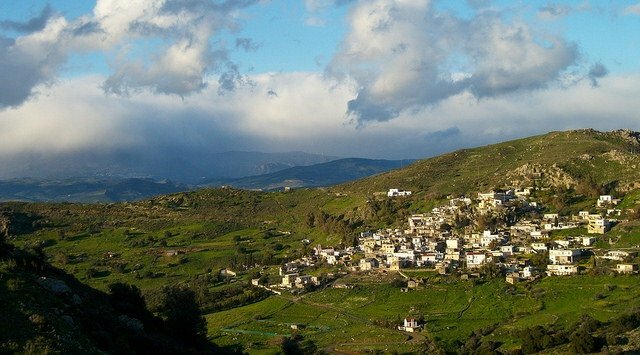 Kastellos village is just 24 km south of Rethymnon town. At Aspros Potamos near Makri Gialis in eastern Crete, stay in a traditional village at a yoga and wellness retreat. 7 days of yoga, pilates and Cretan cuisine, tasty fresh food cooked only with olive oil. It is a place that combines the beautiful mountains of Crete in addition with the therapeutic sea, located 65 km south of Agios Nikolaos.